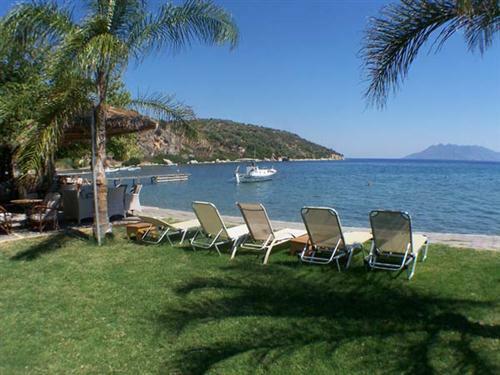 This charming establishment successfully combines its facilities of a taverna, cafe/bar, hotel rooms and apartments seamlessly into a delightful place to stay in tranquil, verdant surroundings next to the luminous sea and sandy beach at Ancient Epidavros. 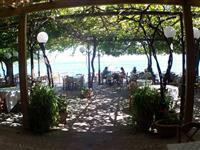 The hotel rooms are cleaned every day and you can enjoy a delightful breakfast at the cafe/taverna for just 3 euros. The hotel rooms have balconies with space to sit next to the lush plantation that grows right up to the balcony and admire the view. 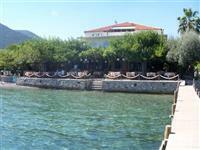 The hotel is at the front of the property overlooking the sea and some of the rooms have excellent sea views. 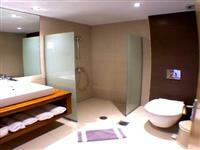 The hotel rooms have a mini-fridge and a safe, air-con, WiFi and TV. The taverna is known not only in Epidavros but also in other parts of Greece. 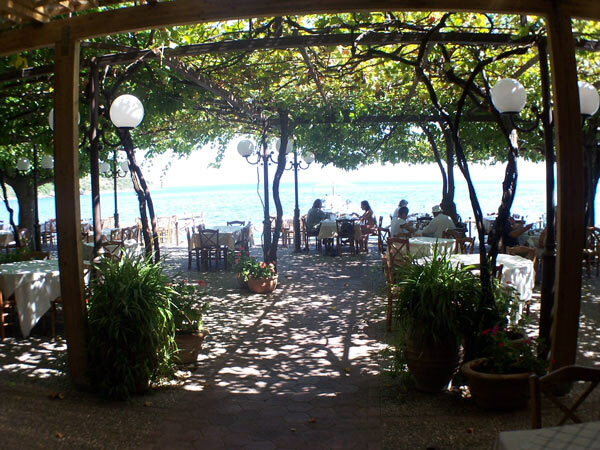 It is not unheard of for Athenians to drive down simply to enjoy the lovely surroundings, traditional delicious food at the taverna and the laid back atmosphere. 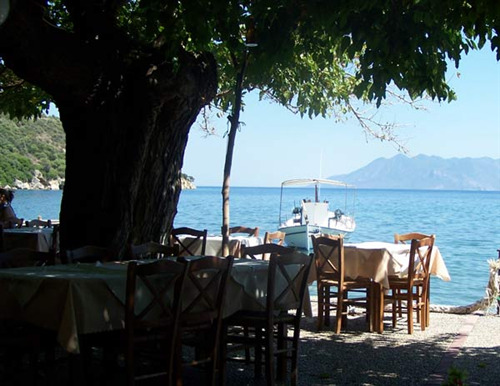 We would recommend this establishment to anyone who appreciates service, Greek scenery and and peace and quiet. The town of Ancient Epidavros is about 1km away. 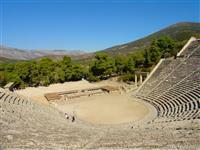 Ancient Epidavros is one of the loveliest places to get some peace and quiet. The surroundings seem almost tropical with banana trees and palms all around. There area also has an abundance of citrus trees as well as figs and pomegranates. The small beach is sandy and shallow with sand in the shallow part of the sea. A few metres out to sea are the ruins of the sunken city of Epidavros which you can simply swim or wade out to. The large bay edged by verdant hills with mountains further back. The combination of sea and lush landscape is unbeatable. 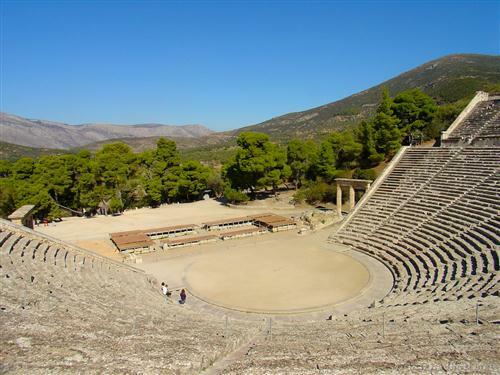 The small ancient theatre is 300 metres away, the famous Theatre of Epidavros where many plays are staged during the summer bringing an international cast and audience is 12 km away and makes this area an ideal base for holiday mixing culture and relaxation. There are countless places nearby which can be accessed by road or sea. From Methana you can reach Athens, Aegina, (Agistri via Aegina), and Poros. From Poros you can travel to Hydra, and Spetses. Via road you can also visit Nafplio, Methana, Mycenae, Ancient Argos and the Castle of Larissa, Ancient Corinth and Ancient Tiryntha. 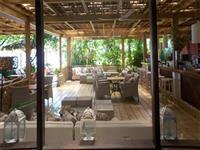 The hotel and apartments have a cafe and taverna attached which border the beach and a shaded lawn so there is really is no reason for you to leave the immediate area should you choose not to. Notes: The hotel rooms accommodate up to 2 people. 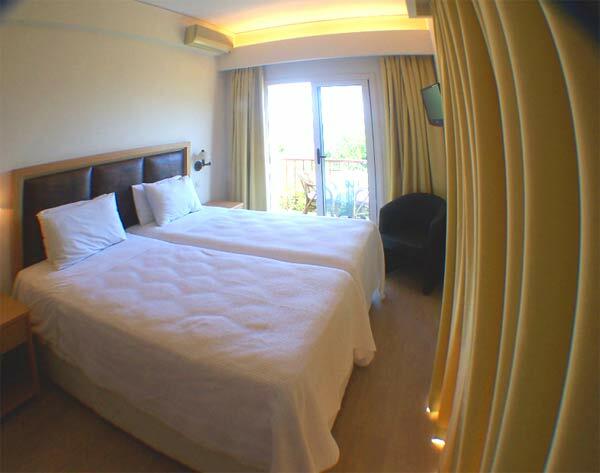 The apartment accommodate up to 4 people and have one bedroom with a double bed and a sofa bed that opens into 2 separate beds. No expense has been spared on the mattresses on the double beds. The hotel rooms have a small fridge in the wardrobe and a safe. The apartments have a kitchenette.